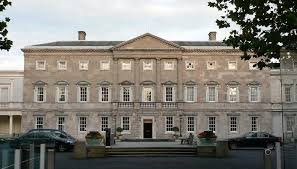 Your Commonage .ie: Commonages, SAC's, Farming, GLAS and the Election. Who deserves your vote ? Commonages, SAC's, Farming, GLAS and the Election. Who deserves your vote ? Tip O Neill famously said that all politics is local. However in the debate on the commonage issue, a number of T.D’s have engaged on a level that far exceeded their own local constituency concerns. Over the life of the last Dail, the commonage issue came to prominence on a number of occasions. The first was in 2012, the last tranche of applications were being made to the AEOS scheme and the Dept. of Agriculture had just published a desk study of minimum and maximum stocking levels for each commonage. The inconsistencies and errors, both in the figures and in the manner proposed for their implementation provoked a storm of protest. This led directly to the Oireachtas Agriculture Committee’s decision in 2013 to consider the issue in detail and to consult with a range of stakeholders. Their report was balanced and fair and while not a solution to the current problems, it certainly demonstrated that some politicians at least were ready and willing to engage with the topic and focused on developing a long term solution. Andrew Doyle (Fine Gael, Wicklow) and Eamonn O Cuiv (Fianna Fail, Galway West) deserve particular credit in this regard. In the summer of 2014, the Dept. of Agriculture’s vision for the treatment of commonages in GLAS became apparent. The proposals revolved around 80% plus participation in a collective agreement prior to joining the scheme, the use of the previously published min/ max figures and joint responsibility for non compliance. These proposals were a cause of great concern and thousands of hill farmers attended mass meetings in Westport, Maam Cross and in Donegal. Many felt that these proposals were being presented to farmers as a fait accompli and that farmers concerns were being ignored. A rolling picket by hill farmers at the Taoiseach’s Constituency Office followed. The deadlock was only broken when Minister Coveney agreed that the Commonage Implementation Committee should meet with a delegation representing the hill farmers. The lead up to this was brokered by a third party but the key political intermediary was Sean Kyne (Fine Gael, Galway West). The time for a solution was already very short, without his intervention it would have been shorter still. While there were setbacks after this, engagement with farmers and advisors continued. The proposals for commonages in GLAS were steadily modified; the 80% agreement was reduced to 50% and later abolished. The Commonage Management Plans were to be based on the actual condition of the site and the min/ max figures were reduced to the status of guidelines only. GLAS applications were permitted in advance of agreement on a Commonage plan, the proposal for joint responsibility for non-compliance related to stocking levels was withdrawn and the time for developing plans was extended until autumn 2016. The scheme we have today is by no means perfect but is it far better than what was proposed in the summer of 2014. The meeting between the CIC and the hill farmers and the talks that led to that meeting were the turning point in this process. Throughout the last Dail, a number of T.D.’s made use of Parliamentary Questions to get clarifications on policy developments from the Minister. Indeed for a period this was the main source of information for all stakeholders. The list of T.D.’s who did this includes, in no particular order Pearse Doherty (Sinn Fein), Brendan Griffin (Fine Gael), Dara Calleary (Fianna Fail), Tony McLoughlin (Fine Gael), Joe McHugh (Fine Gael), Martin Ferris (Sinn Fein), Michael Healy Rae (Independent), and Michael Fitzmaurice (Independent). Although once again Eamonn O Cuiv and Sean Kyne deserve special mention. Should all of this influence a commonage farmers vote on Friday? The decision on who to vote for obviously includes a lot more than just a candidate’s record on agriculture. But that said, if commonage farmers want agricultural policy to develop in a manner that recognizes their unique contribution, they must have friendly voices in the Dail chamber and next Friday is their chance to achieve this. Hopefully some of those who have demonstrated the greatest interest will be in positions of influence in the next Dail. Having a person with a real understanding of the subject as Minister for Agriculture, as a Minister of State, on the Oireachtas Agriculture Committee or as an Opposition spokesperson would be a real help. Needless to say, the essential first step is to get them elected. The next Government, (if it serves its full term) will have to deal with the mid- term review of the Common Agricultural Policy and crucially with the formulation of the next Rural Development Programme (2021- 2027). It will preside over the implementation of the current RDP and the design of the next one. The election of T.D. 's with a proven interest in the management of commonages and designated land will really matter. Although what has happened over the last 5 years is important, what is really crucial is the direction that the incoming Government will take on these issues in the years to come. If we want real progress, we have to give politicians with an understanding of farming on commonages and on marginal and designated lands a strong mandate. Only you can do that. Going back to Tip O Neill, all politics is local and in our system, the margin between success and failure at the polls can be very narrow. Every vote does count, have your say on Friday or someone else will speak for you.